Last year, we released automatic room suggestions in Google Calendar on the web. We’re now bringing that feature to Android and iOS devices. 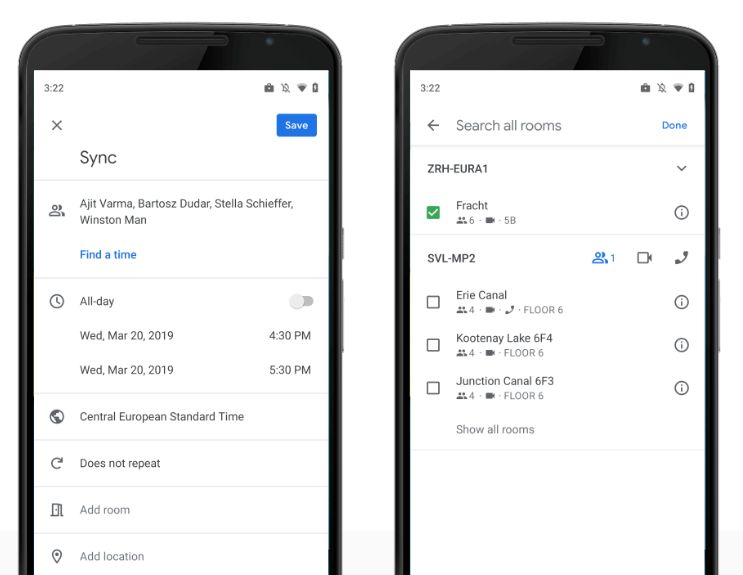 This feature, using Google AI, suggests the rooms for your meetings based on the locations and preferences of the guests. To enable this feature, structured resource information and users’ work locations are required to be set. This feature is ON by default and immediately visible when resources are structured and user locations are set.